A little saffron turns plain white rice into pale to bright yellow saffron rice. Saffron also adds a mild flavor to rice. Using white rice is essential for the color to be absorbed into the rice. Saffron rice can be served with any recipe that called for white rice. 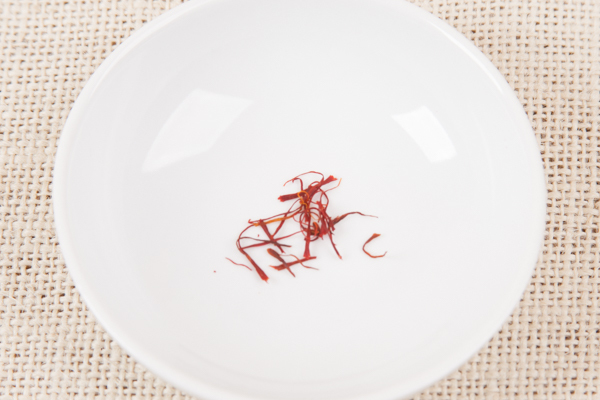 Saffron (pictured below) is the most expensive spice sold. If it us not available, or beyond your budget you can substitute turmeric. Unlike saffron, turmeric is essentially tasteless. It is used to color yellow mustard. There is research indicating turmeric reduces plaques that can form in the brain reducing the risk of dementia. To be effective, you’ll need more turmeric than required to color rice. Adding too much turmeric will give rice an orange/yellow color. Saffron and turmeric add zero calories. Making Saffron Rice using chicken and vegetable broth instead of water adds a negligible number of calories. Saffron Rice can be made using the absorption method requiring 2cups of water to 1 cup of rice. Cooking rice like pasta using 4 or more cups of water reduces starch and chemical in the rice like organic arsenic. Either method works. Replace all or part of the water with chicken or vegetable broth. When substituting broth, you can use the absorption method to cook the rice. Add water, saffron and salt to 2-3 qt/L pan and bring to a boil. Rinse rice in cold water until water runs clear. Stir rice into boiling water and cook, uncovered) about 15 minutes or until rice is desired texture. Drain and serve.